Jumping off a cliff, the boy hit the lake like an asteroid hitting into the earth. 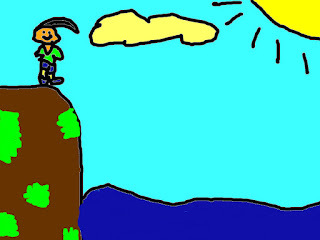 So he twisted down off the cliff the boy yelled “Into the water I go!’’ and. Splash!. The boy came out of the lake smiling but very soaking wet.